The "typical" claims process varies by type of claim, type of company, what they emphasize as important, what their specialty is, and their culture & claims philosophy. Let's use the vehicle claim as an example from a decent company's potential scenario/approach: After an accident, a report is made to the agent, company, reporting service, or a combo. The report is initiated over the phone, by FAX, by the agent, ACCORD form (or company form), on-line, in-person or, even, standard mail at a handful of insurance companies, or a combination of previously stated. Prices of destroyed items, such as, clothing, glasses, etc. Cooperation will help settle a claim, once all other facts are ascertained. Working with an adjuster in the spirit of cooperation is always a way to reduce time and settle quicker. Estimate of repair, these should be in the claimants possession or the repair shop #'s, although, the adjuster may write his/her own and the adjuster may have a guaranteed repair shop for the claimant to go. Permission to obtain med records to assess the full nature of the injuries and if they are practical to the type of accident involved. However, a settlement won't be prematurely engaged until treatment is complete and all medical special damages are known. This varies in Worker's Comp claims, as well as Homeowner residential/property claims. When dealing with an auto insurance claim, the 1st Party is the policy holder (the insured). The 2nd Party is the insurance company. The 3rd Party is the other person that's in an accident (the claimant). The claimant can be the other car owner, a pedestrian or a passenger. In the claim with the insured (1st Party-insured), she/he is under an obligation to report the accident or loss to the insurance company; be it a collision loss to the car or a comprehensive loss (break-in, flood, etc). The insured should ask the Agent or Company Rep (taking the report) what she/he will need for the claim. The claimant may also report the loss to the insured's carrier. An Adjuster should be in touch within a day or two to begin handling the claim for the customer (1st Party-insured). If it's just a 1st Party claim, such as a hit and run to the insured vehicle, or a theft claim; the process is an average 2-4 weeks, can be shorter or longer. It depends on how quickly estimates are obtained, repairs completed and any investigations completed to rule out suspicions that can arise on a claim, such as, a staged loss just to get money or that all repairs to the vehicle are from the said accident. In the case of a 3rd Party claim (the person that the insured hits), the length of time depends on the investigation and obtaining of information as with the 1st Party claim. The type of accident and what Comparative Negligence comes into play, if applicable. All factors involved with the claimants vehicle and repair firms, labor rates and validity of damages (as before with the insured's loss). These can run, based on the seriousness of the claim, anywhere from a 2 wk period to years. Once 3rd Party Litigation begins, points of law may come into play that could take a very long time to work through. However, most 3rd Party claims settle within a reasonable range. If it's a standard insured rear ended claimant, no injuries, and minor damages the time period is probably a 2-4 week range for both the insured and the claimant. In Worker's Compensation, a Petitioner is the as the 3rd Party Claimant in an auto claim. The employer (insured) is called the Respondent (1st Party). Claims are not settled per se, but are concluded with a Lump Sum Settlement Contract, as opposed to a Release. Once settled, in worker's compensation, it's not contested. As an FYI with the words meaning in claims, here are some that can cause confusion. 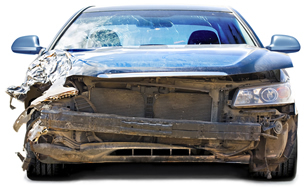 Collision is 1st Party and is called a Physical Damage claim (or simply a collision claim or loss). Property Damage is 3rd Party & is identified as such (PD). The abbreviation EE is for the employee and not the employer on worker compensation forms. Bodily Injury (BI) is always 3rd Party. Modified Comparative - 50% Rule - an injured party can only recover if it is determined that the injured party was less than 49% at fault. If it is determined the injured was at fault level reaches 50%, then they will not be able to recover any damages resulting from the accident. Modified Comparative - 51% Rule - an injured party can only recover if it is determined that fault does not reach 51%. These duties maybe clearly divided at the insurance company or may have a crossover/combination approach. The Independent Agent may be utilized on any part of the claims investigation including a damage appraisal or bodily injury ("BI") information gathering. Some companies maintain an in-house facilities for appraisal and claims investigation training or the insurance company will send their personnel to one of the various independent schools currently in operation, such as, Vale Tech. Some companies may use manual estimatics for handwritten appraisals, most commonly known is Mitchell or Motor Crash. More companies are moving towards electronic estimatics programs, such as, Ultra Mate or AutoTex. 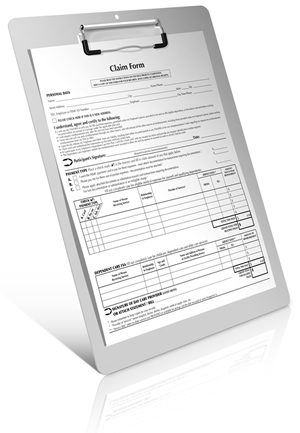 A combination of handwritten appraisals and electronic estimatics programs can be used by companies. Companies refer to sources such as the National Automobile Dealers Association ("NADA"), Red Book, Consumer Price Index ("CPI") and might even contact the dealership, if necessary, in cases of Salvage and Subrogation. Depending on the type of vehicles the insurance company covers, the company might staff a Heavy Loss Specialist/Appraiser for tractor/trailer, farm and construction equipment damage. When a claim is entered into the insurance companies system, the entrance will automatically send a signal that the reserves will potentially change and must be adjusted according to the amount of the damage or possible catastrophic losses. The company will adapt a Catastrophic (CAT) Loss procedure and set-up. Sometimes the insurance will set up a permanent operational CAT or the company may have CAT teams assembled during CAT situations. Diaries are kept by the Claims Adjuster to keep in touch with all parties concerned. The company may choose to keep 30 day, 60 day, or 90 day dairies for the adjuster. The supervisor or managerial keeps a diary as well based on certain criteria that the company feels covers the parameters of a certain claim. Once all the facts are known through statement, investigation, and all the specials (records/documents/estimates/meds); then, the settlement process will begin with the claimant and their attorney, if they have one. "Salvage and Subrogation refers to the rights of the insured that are automatically transferred to the insurer in accordance to the terms of the policy upon settlement of a loss. 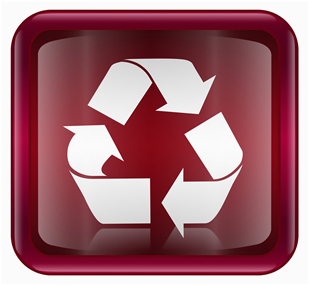 Salvage is applicable to proceeds rising from repaired, recovered, or scrapped property. Subrogation is the proceeds arising out of negotiations or legal actions against negligent third parties." Plainly, this means the insurance company has the right to scrap any materials resulting from the insured's loss and seek a form of monetary recovery. Some times the insurance company will seek salvage and subrogation during or after the claims investigation depending on the complexity of the claim. The insurance company may use a combination of inside, outside, or a subrogation specialist to seek recovery. The company may make use of closed bidding, salvage pools or contract pick-up and sales. The insurance company will establish criteria for prices on salvage in form of percentages and set prices in place for year of car, model, type, location of damage, and severity of damage. Insurance companies are different from each other. You have standard carriers like State Farm & sub-standards like Prestige Insurance (no longer in business). Standards are customer service oriented and sub-standards (or as they call themselves, non-standards) have more of a "save the company money" philosophy. Each company has different philosophies and cultures. Certain personality types are more abundant at one carrier over the other. An adjuster at a good carrier should remain diplomatic and courteous with all types of people, including the horrific kind. Many adjusters do grow weary of the claimants trying to get rich which can develop a "treat the caller like a criminal" attitude by the claims representative or adjuster. When a fraudulent claim is exposed, the claimant can be very mean spirited and this can jade some adjusters. Some adjusters do treat everyone as "guilty until proven innocent" and this is not a good attitude, for it promotes a hostile relationship between the parties. Adjusting is truly a very complicated profession and requires quite a diverse knowledge base. A multi-line adjuster in a day may write an estimate to repair a car, meet with an attorney to try and settle a serious injury claim, work up a Lump Sum Settlement Contract for Worker's Compensation, head to a Medical Malpractice investigation, go to a business to work up a Time Element Loss (Business Interruption) and then finish out the day writing a fire or storm loss appraisal to a residential structure. Not to mention the normal Bodily Injury & Property Damage claims that pop up every week. All of these things require a different type of investigation, knowledge and direction. Many adjusters now specialize, but the multi-line person can still be found. After the claim is closed, the Company has a Claims Committee established who will review the claims. This is done much for the reason that hindsight is 20/20 and there maybe other revelations realized upon a second look. When claims are audited, whether by a regulator or a hired auditor, a sample will be based on certain criteria, whether the losses were the highest or the closing rate the longest. The company should have priority over reviewing disputed claims for a disputed claim can arise to a greater consequence for all parties. A Claims Committee role is to make decision on disputed claims and address overall concerns and problem claims.